At Unionwear, you can tailor a wide array of meshback hats & caps. There’s a vast spectrum of colors, sizes and designs to choose from. There are many uses of custom meshback hats & caps, embroidered or printed with your company logo. You can have people promoting your brand in a positive way, and with minimum effort from your side. Just hand it out as a gift item at trade shows, marathon events or fundraisers. 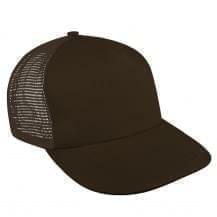 As a union shop, Unionwear gives quality treatment to their employees, who in turn deliver quality workmanship when it comes to embroidering custom caps as per your requirements. We also offer wholesale pricing for all of our products.